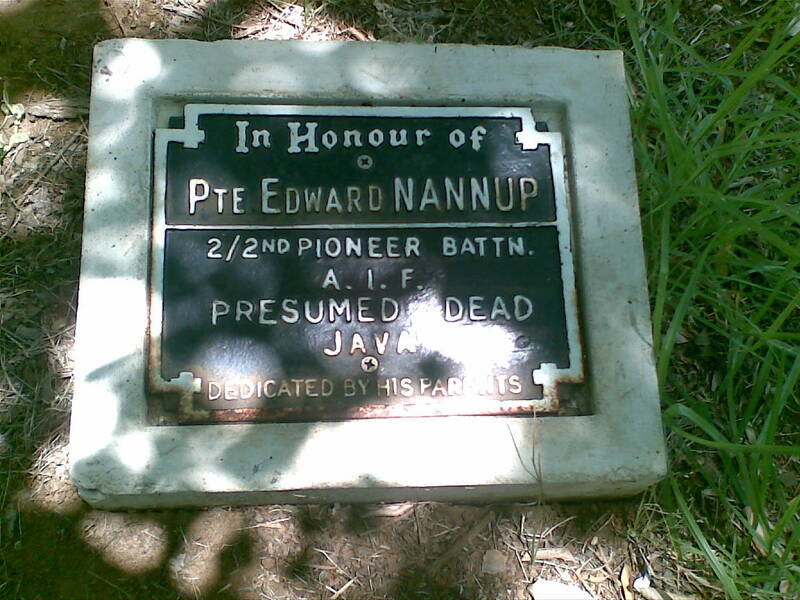 Background : Son of Edward Pyes Nannup and Emily Nannup; husband of Rose Margaret Nannup, of West Perth, Western Australia. Grandfather of Lionel. Service & personal summary At enlistment : married. Children : 2. No previous military experience. Dark brown eyes, dark hair. Marks / scars : scars on right chin and on nose. Operational service : Middle East and Java. 02/07/1941 Strength increase. Enlisted & taken on strength Western Command General Details Camp, Claremont, West Australia. 04/07/1941 Strength decrease. Transferred from Western Command General Details Camp, Claremont, West Australia to 3 Training Battalion Northam, West Australia. 04/07/1941 Transferred from Western Command General Details Camp, Claremont, West Australia. 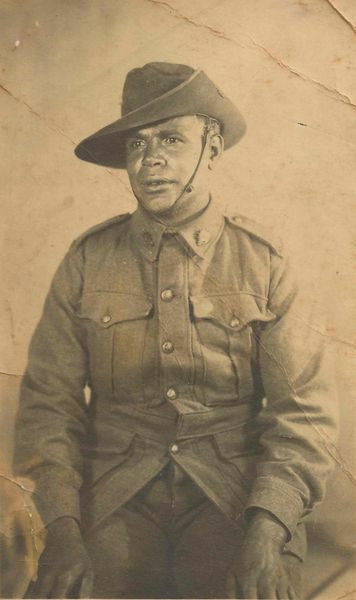 23/07/1941 Transferred from 3 Training Battalion Northam, West Australia to Reinforcements 2/16 Battalion 1st Training Battalion Northam, West Australia. 23/07/1941 Transferred from Reinforcements 3 Training Battalion Northam, West Australia to 1 Training Battalion Northam, West Australia. 15/10/1941 Granted pre embarkation leave from 15/10/1941 to 21/10/1941 Northam, West Australia. 07/11/1941 Embarked Fremantle, Western Australia on U.S. Convoy 13. 24/11/1941 Disembarked Middle East to 2/16 Battalion Reinforcements. 20/01/1942 Marched out to 2/2 Pioneer Battalion. 21/01/1942 Taken on strength 2/2 Pioneer Battalion from 21 Infantry Training Battalion. 31/01/1942 Embarked Suez, Middle East on S.S. Orcades. 07/03/1942 Battle casualty. Missing in action, Java. 27/02/1946 Became missing and is for official purposes presumed dead 05/03/1942.